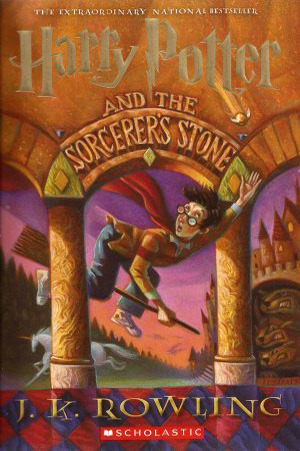 Harry Potter and the Sorcerer's Stone was probably the book that got me back into reading once I'd hit my pre-teen years. It's such a wonderful world and the movies were fantastic. Which author would you buy and read every single book from? Hmm...that is a tough question! I would say Kelly Creagh is the author I would do this for. Her books are amazing and I love that she bases her Nevermore series around Edgar Allan Poe's work. After escaping from their cruel aunt and uncle, orphans Prosper and Bo meet a mysterious boy who calls himself the "Thief Lord." 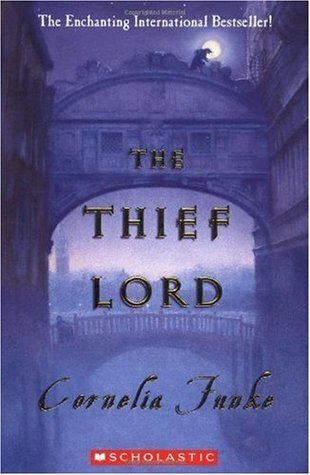 Clever and charming, The Thief Lord leads a band of street children who enjoy making mischief. But the Thief Lord also has a dark secret. And suddenly Prosper and Bo find themselves on a fantastical journey to a forgotten place. What they discover there will change the course of their destiny... forever. I first saw the movie featuring the cutest little guys, Aaron Johnson and Rollo Weeks which was a great movie. A couple years later I found the book to read and loved it. The setting in Venice was fun and Prosper and Bo were so sweet and it was fun to think of hanging out as a kid and making your own trouble. Just a few weeks ago when reading The Death Cures by James Dashner. I knew what was going to happen but I got a little crazy and cried a bit. Two picks! Nice ones. Yay for harry potter. Too bad I can't use it as a TT sometimes since I only recently read it. lol. I love the quote from The Thief Lord!